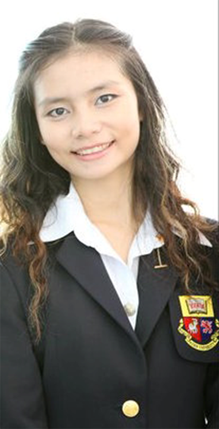 Natcha Chamnandechakun completed her bachelor degree from the department of electrical and electronic engineering at Asian University in May 2006. Her name was on the board of President’s list of outstanding students for the whole period of her study, a remarkable achievement. Natcha was an active member of the Asian University Student Union being secretary, treasurer and a team member of community service. 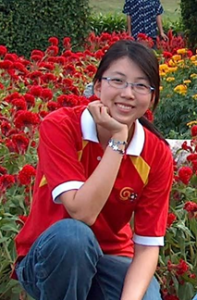 With the full support from her advisor and her seniors, many of her papers were published internationally, for example; An Application of the T-Chart for Solving Problems Associated with Terminated Finite Lossless Periodic Structures. The International Association for the Exchange of Students for Technical Experience [IAESTE] awarded her a scholarship to do an internship in an automation laboratory at Tromso University College, northern Norway and in addition to that, she also received a scholarship from The Shell Centenary Scholarship Fund [TSCSF] to continue her master degree in Nanotechnology at University of Twente, Netherlands. 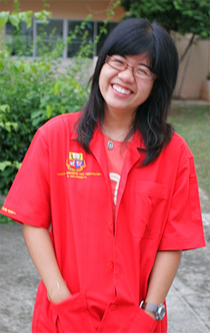 Her academic interests are in the area of nanotechnology and electronics. Alongkorn Darawankul received his B.Eng., 1st Class Hons., degree in electrical engineering from Asian University, Chon Buri, Thailand, in 2004. He was awarded a scholarship from Asian University from 2000 to 2004. He was a graduate student in the department of Electrical and Computer Engineering at The Ohio State University, where he worked as a Graduate Research Associate (GRA) (A GRA appointment provides a stipend of $1,550 per month. In addition, all academic tuition and fees are waived) in the Department of Electrical Engineering, ElectroScience Laboratory at The Ohio State University. His interests are in the areas of electromagnetics and rough surface scattering. Chaipat Sae-Heng graduated from Assumption College, Bangkok before attaining his BSc in electrical engineering in 2004. 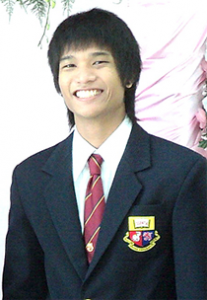 He received a scholarship from the university and was named in the President’s list of outstanding students in 2002/3. In 2004, he received TWO Undergraduate/Pre-Graduate Scholarships from two IEEE societies, which are IEEE Microwave Theory and Techniques Society (MTTS) and IEEE Antennas and Propagation Society (AP-S). He had opportunities to present his conference papers related to his final project at EECON 27 in Khon Kaen and IEEE TENCON 2004 in Chiang Mai. In the summer of 2004, he received a further scholarship to work at the National Power Company of Iceland through the international technical student exchange organization called IAESTE. His tasks in Iceland included implementing an electronic device used for collecting data from the geothermal power plant and summarizing the device’s manual to be specific for the uses of the company. His interests are in the areas of electromagnetics and telecommunication. Chananya Thimaporn graduated with her B.Sc. 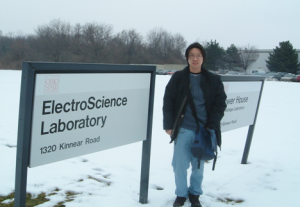 in electrical and electronic engineering at Asian University in 2004. Her senior project involved studying the transmission line phenomenon using both analytical and graphical approaches and during her time here, she was invited to attend national and international engineering conferences. 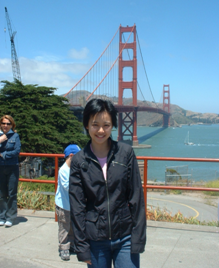 One of her papers – on a generalized ZY Smith chart for solving nonreciprocal transmission line problems won an ‘excellent paper award’ at the national electrical engineering conference in Thailand, EECON-26, 2003. The paper went on to be published in an international journal, Microwave and Optical Technology Letters in 2004. Along with that, two of her papers were accepted and presented in IEEE International Symposium on Antennas and Propagation and USNC/URSI National Radio Science Meeting in Monterey, California, USA. In July-August 2004, she was an intern of Loxley Public Company Limited in the area of design, installing, testing and commissioning telecommunication network including satellite communication, fiber optic network, and microwave link. 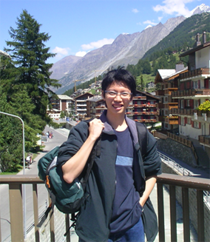 Po-Yen (Brian) Chou was born in Taichung, Taiwan and attended Asian University in 2003 to study electrical and electronic engineering. His final design project was related to electromagnetics, and involved the study of graphical aiding tools used in designing finite periodic structures implemented by using periodically loaded transmission lines. Based on these research works, three technical papers were published in Microwave and Optical Technology Letters and in addition, he also joined several national and international conferences. During his study at the university, he received the academic excellence awards for all four years and later went on to receive an IAESTE scholarship, which allowed him the opportunity to join EXALOS, AG in Switzerland for a one year internship. His work involved the study of measurements, microchips analysis and designing instrumentation tools. She says with a smile: ‘When I was studying at Asian University, living in the campus was like my second home, lecturers and friends were my second family. The four years spent at the University had widened my knowledge in business and communication – which turned out to be the perfect programme for me. The university had exceeded my expectation by providing a true international education with outstanding multinational lecturers who have their expertise in the subjects they teach. Although the number of students per class was quite small, I realized after I graduated that it was a rare benefit that not many students around the world would get, I was in fact, very privileged. The smaller the class, the more attention I would get from the lecturers and the better my understanding would be. Nattasuda Anusonadisai (Fon) is now working as a News Anchor and News Reporter for the International News Division of a Digital TV Channel, Mono 29 and has done for almost a year. Before this advancement, she was a news producer for Nippon Television, Japans first commercial Television station based in Bangkok. Fon looks back at her time at Asian University fondly and explains ‘During my time at AU, I learnt not only academic skills from experienced lecturers who brought insights from all over the world, but I got to experience international cultures at the AU dormitory and mixing with other like-minded students. Since the class ratio was small, we got the opportunity to ask lots of questions and I got to repeatedly practice the four Basic English requirements (reading; writing; listening; speaking) as well as presentation skills, which I later learnt was not available at other universities in Thailand. I believe that the skills I developed at Asian U makes me stand out from other applicants when applying for jobs and I do not think I would be where I am right now if I hadn’t decided to study at Asian University. Ms. Varittha Sanphuang, was fortunate to have won an IEEE MTT-S (Microwave Theory and Techniques Society) Undergraduate/Pre-Graduate Scholarship worth US $1,500 to carry out her research during 2009-2010 at Asian University. The IEEE (Institute of Electrical and Electronics Engineers) is the world’s leading professional association for the advancement of technology and only only six students from around the world received this scholarship. She worked on the following research topic, “Analysis and Design of Electromagnetic Bandgap (EBG) Metamaterials and Negative-Refractive-Index Transmission-Line (NRI-TL) Metamaterials Using Equivalent Transmission-Line Models with New Graphical Tools.” In addition, she also won an IEEE AP-S (Antennas and Propagation Society) Pre-Doctoral Research Award of US $1,000 during 2009-2010. For this research award, she worked on the similar research topic as above. Her research projects were carried out under the supervision of Assistant Professor Dr. Danai Torrungrueng, a senior IEEE member, at Asian University, the scholarships enabled Varittha to attend international EE conferences and from that she went on to have many of her journal and conference research papers published. 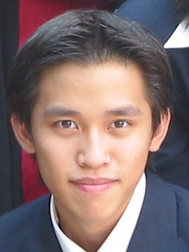 Mr. Yutthanai Suparhan, graduated from the electrical and electronic engineering faculty and during his time at Asian University he won an IEEE MTT-S (Microwave Theory and Techniques Society) Undergraduate/Pre-Graduate Scholarship of US $1,500 to carry out his research. The IEEE (Institute of Electrical and Electronics Engineers) is the world’s leading professional association for the advancement of technology (http://www.ieee.org/) and only eleven students from around the world received this IEEE scholarship. He worked on the following research topic, “Analysis of the Far‐zone Radiation of Antennas Embedded in Electromagnetic Bandgap (EBG) Structures Using Equivalent Transmission‐Line Models with Meta‐Smith Charts.” His research project was carried out under the supervision of Associate Professor Dr. Danai Torrungrueng, a senior IEEE member, at Asian University. This scholarship was used to support him for purchasing necessary equipment and he went on to publish conference papers based on his research work.